I hear praise about the CSVRs and other prestige models in Yamaha's lineup, but what about their entry-level pro model, the YCL-650 and YCL-651. Same consistency and sound? Worth springing for as a backup horn with the right price? Thanks. They're decent horns, but I find them to be rather... meh. They're like the Toyota Corrola of clarinets, they work well but they're very basic. Personally I would take an R13 over a 650 any day. > They're decent horns, but I find them to be rather... meh. I agree pretty much whole heartedly with jdbass here. The only thing I'd add is that I would take a GOOD R13 over them any day. New R13s run a wide gamut from what I've found with enough of them being bad that I would look for a good one. I base this on going to clarinet or woodwind festivals, trying probably about 30-50 R13s on various tables, and coming out with about 10 that really sing well and have even resistance through most or all notes. The others are easily play a couple notes, and put it down right away as "not for me". Yamaha 650s that I've tried, all of them have tuned well, all have played well, but I find them to be boring and maybe it's a mental thing, but I feel like it limits my expression compared to other, better horns that I've played. I find the 650 to be a delightful clarinet, eminently capable of a very high level of musical expression. But, don't take anyone's word for that--you really need to try the 650 for yourself. 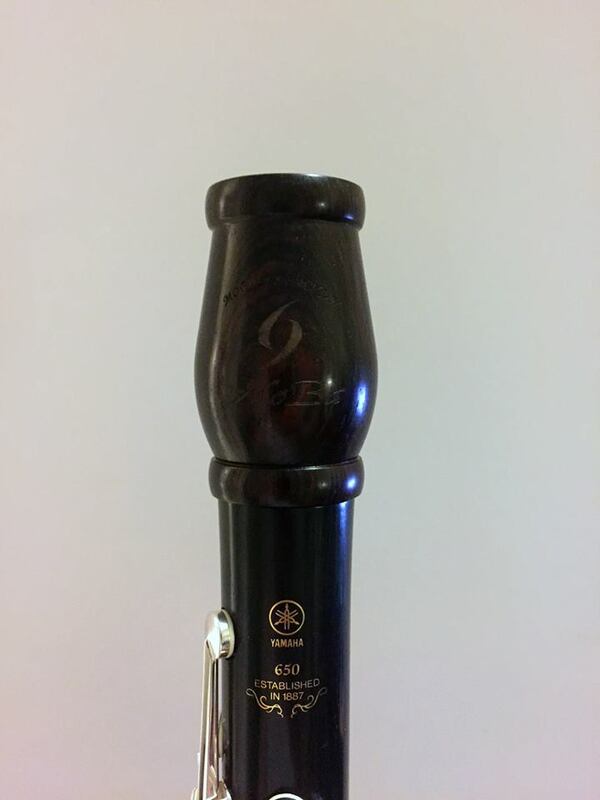 I do agree with jdbassplayer's characterization of the 650 as the "Toyota Corolla" of clarinets--it's a middle-of-the-road instrument in every way. Neither wide open nor resistant, neither especially dark nor bright in timbre, the 650 strives for evenness of response and tuning accuracy. Some players may find the end result to be musically uninspiring, but others, including myself, prefer such an instrument that, without idiosyncrasies, doesn't get in the way of making music. In my opinion, these qualities make it a very fine option as a backup instrument. In stark contrast to the R13, you can grab a new-in-plastic 650 off the shelf, and chances are, it'll be decently set up and ready to go--and you won't have to play test a whole bunch to "find a good one". All that said, someone will surely chime in and suggest the 450 is nearly as good as the 650 and a better overall value. And, as a backup horn, you may well find the 450 to be everything you want and then some. Do your due diligence; try 'em both. A number of my high school students who are not pursuing a music major have elected to purchase a Yamaha YCL-650. We dress it up a bit with a Backun MoBa grenadilla barrel (which adds just the right amount of "ping" and character), and for just under $2000 we end up with a fantastic sounding instrument with excellent intonation. The 650 is pretty solid, much better than anything in it's price range. I don't think it's fair to put it against an R13 or CSVR, those are more expensive and marketed as professional instruments. At this point I view the 650 as top tier intermediate, or I suppose maybe "entry level professional." The only other options/competition in that range is the buffet E12, Backun alpha/beta, and the bliss Clarinet (and in my opinion the Yamaha is arguably superior overall). I agree with gwie that it would be an excellent option for students serious about clarinet but might not want to major it in. Or for teachers/doublers as a clarinet built to good standards that won't break the bank. I think the 650 is a very nice instrument. I bought a CSVR last summer. I played it for my family against a 650 and my Greenline R13. The CSVR won the listeners and player test by a slim margin, the 650 was second. Both were ranked by listeners and player a couple of steps above the R13. Your mileage may vary. I think the Buffet is a very good instrument and it is set up as I like it. I bought a Greenline because I play outdoors every summer. Last summer the weather was good, so the CSVR got most of the work, but when it is rainy or cold, the Buffet steps in. I am the only one in the section who can tell what I am playing, so maybe I should have saved the money, but I really enjoy playing the Yamaha and I think I would have been nearly as happy with the 650.